So this whole plan came to a bit of a halt when I walked into my ‘watertight’ shed to find my box storing all my fish keeping equipment filled with rainwater. I’ve replaced it now and should be getting the tank happening tomorrow for sure. Watch this space, will definitely have something running by the weekend. After a break from fish keeping for a little over a year after moving house into a smaller rental property, I had decided to get some cichlids again! 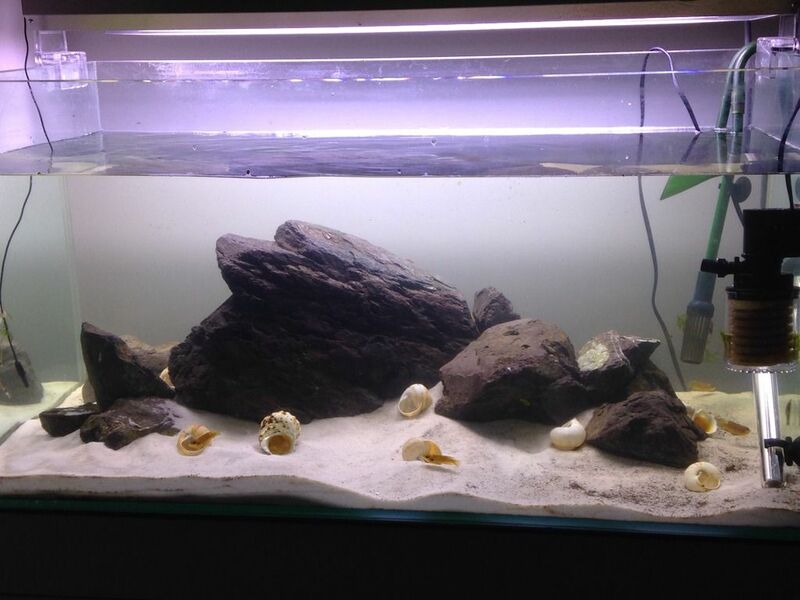 My 2x 4 foot aquariums are still in storage but I'm setting up a 60x30x45 tank which I'll either plant or just leave with the current sand and gold vine with Indian almond leaves. I'll add photos tomorrow and I'll have the tank up and running by this weekend. haha what a sook, doesn't look like a fish that would take orders from lethrinops but he's just a big softie! Nice photos and beautiful fish! Firstly I would like to apologise for my lack of activity on the forums. Haven't been on here enough lately. In the future I am hoping to be more active on the forums like I used to be and share more of my tanks. At the moment I am planning on changing to the saltwater side of the hobby. #342272 What Spawned In Your Tank Today??? Gold occys just spawned. Stoked! Only took them a few weeks. Red & White all the way here buddy. 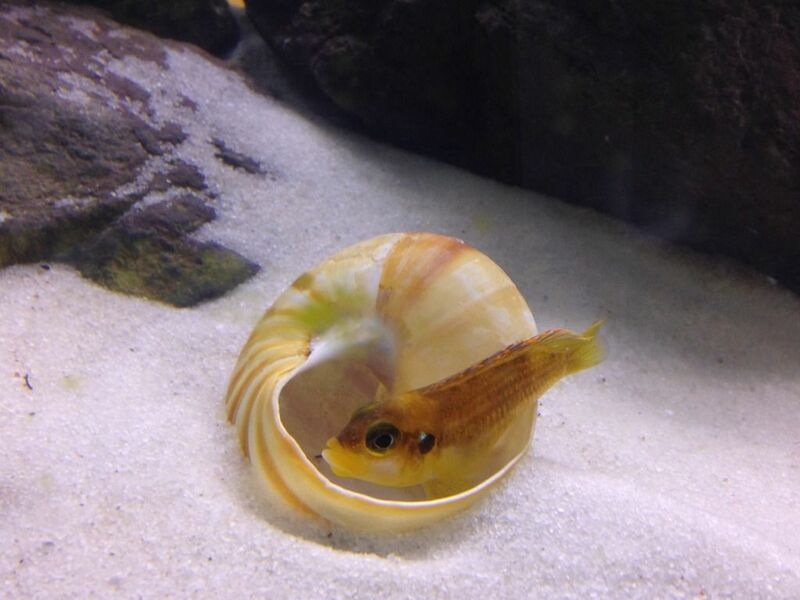 I have recently changed my 3 foot planted into a shell dweller tank. I am really happy with how it's looking. Going to move the Otocinclus and shrimp and maybe get some cyps. Sorry for the iPhone pics. I will take some with my SLR soon. Best of luck with your tank Leif! Hey mate. Don't ever feel like your asking too many questions! 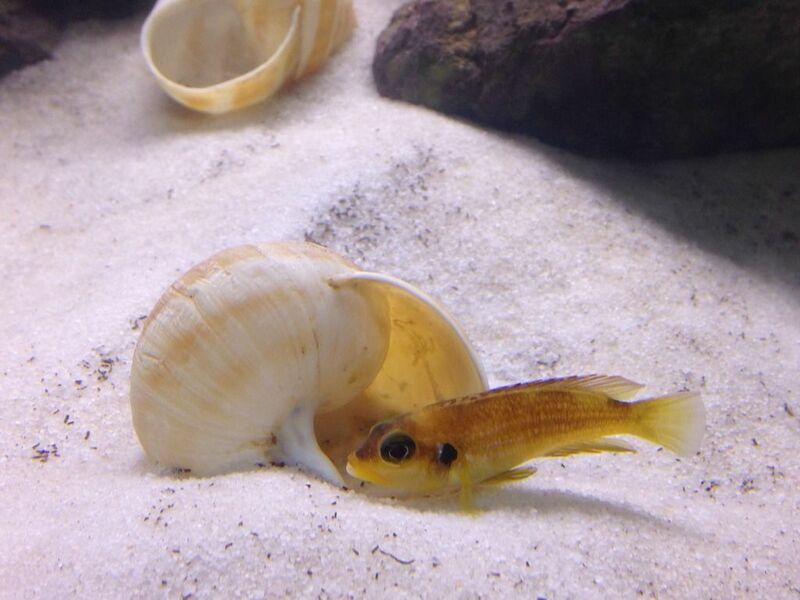 After all this is a fish keeping forum and part of the reason a lot of people are on here is to help people. Asking questions isn't stupid but making mistakes because of not asking for help is. Nice tank. Plants looking good haha.